Great news, only one month until spring begins. The cold and the wind have been oppressive, but as we enter calving season I hope the weather improves. It is important for us all to remember that 'what happens in the first 24 hours impacts the rest of your newborn calf's life.' The event we are talking about is the uptake of colostrum. Colostrum is formed before the dam calves. The more immunity the cow has to disease pathogens, the more immunity she will pass in her colostrum, directly proportional. That is why it is important that cows are exposed to pathogens on your ranch. If you purchase cows or heifers it is best to procure them several months before calving so they have time to gain immunity to your homegrown bugs. Vaccination is also important in the formation of pathogen specific colostrum. In our area we have many problems with Clostridia diseases (overeating). Addition of these bacterins to the normal vaccination programs of viral and bacterial scour pathogens has helped us minimize these problems. The timely injection of vaccine elevates the circulating antibody of the cow which directly increases the antibodies in the colostrum. The calf's gut absorbs the immunoglobulins in the colostrum. This only occurs early in the calf's life. The older the calf (hours), the lower the percentage absorbed. This is why early assistance is needed to assure adequate uptake. If the calf is weak or chilled you must intervene in the first few hours after birth. The cow's own colostrum is the best for the calf. If need you can milk some from the cow and drench it into the calf. When you feed with a tube it is best not to pass the tube all the way into the rumen and try to stimulate the calf to suckle while feeding. This will cause the esophageal groove to close and the colostrum will bypass the rumen. 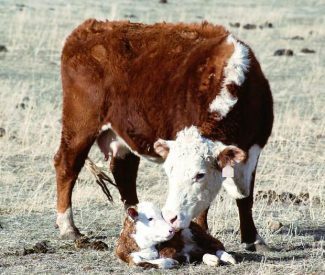 If you feel the cow has inadequate colostrum or merely plan to warm the calf before returning it to its mother, a colostral supplement will suffice. This product has a lower concentration of immunoglobulins but will help supplement the cow's colostrum. There are also tubes, jells and blouses which may aid in the supplementation. Colostrum replacers are more expensive but contain higher levels if immunoglobulins. These products are made to replace the dam's colostrum. They can also be used as supplements if needed. Never drench with electrolytes before the calf has consumed colostrum. This will greatly decrease the efficiency of passive transfer. In years past many of us would get colostrum from a neighboring dairy and freeze it. These animals may not have had the immunoglobulins needed for our herds and may have even transferred pathogens into our herds. The concentration was also variable. The first milk was the best and highest quality. Many dairy men would not save milk for 72 hours after birth and deposit it into the colostrum container. Also when it was heated, immunoglobulins were lost. Once these calves hit the feedyard they have three times the risk of becoming sick in the feedlot. Growth rates were also decreased both during lactation and in the feedlot. 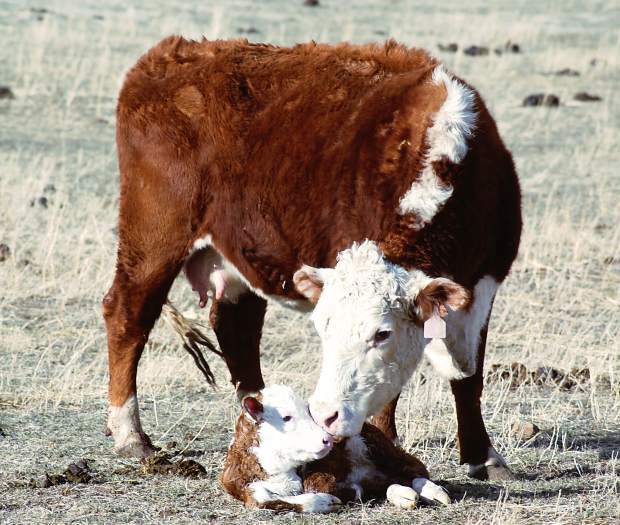 The first six hours of your calf's life greatly affect its future. Not only does it increase it potential on pasture, but it also affects feedlot gains and carcass traits. Be ready to intervene in a timely fashion and you will increase your calf's potential. This will increase your returns in your cow-calf operation.